The Milwaukee Brewers are facing Zach Duke and the Pittsburgh Pirates on Tuesday. For Pittsburgh, the game probably isn’t too exciting, as they are going to be up against Yovani Gallardo. 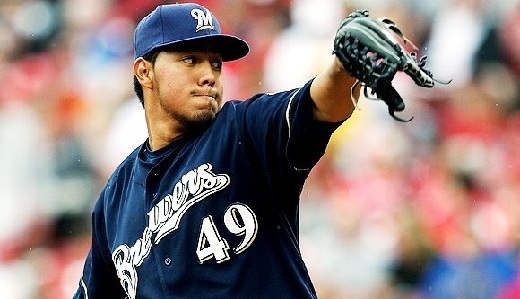 Gallardo is Milwaukee’s ace and one of the best pitchers in baseball. Duke is a decent pitcher, but he can’t compete with Gallardo. The offensive side of things is as clear as the pitching. The Brewers hold the clear advantage, though Pittsburgh has had some explosive games this season. Milwaukee has Prince Fielder and Ryan Braun, two of the best hitters in Major League Baseball. Both players are power hitters and both players know how to get on base. Duke is going to have his hands full on Wednesday, that much is certain. Duke has pitched better than anticipated in 2010, while Gallardo has not lived up to expectations. The season is early, however, and it is only a matter of time before Gallardo settles down. Wednesday might be a great way for him to re-align his 2010 campaign, as he holds a life time ERA under 3 against the Pirates. Duke, unlike Gallardo, has traditionally struggled against his opponent for Wednesday, maintaining a career 5.38 ERA against the Brewers. The bats may very well be the difference in this game. Duke is off to something special in 2010, but even the best pitchers can get crushed by the Brewers deadly lineup. Milwaukee is the favorite on Wednesday, as most would expect. The line is quite fair, actually, at -135 in favor of the Brewers. Betting on the Brewers should be a very safe bet that is not too costly. Unless Gallardo falls apart or Milwaukee’s hitters can’t hit Duke, this should be an easy win for the Brewers.